Haley Laughter, the founder and CEO of Hozho Total Wellness, is on a mission to help Indigenous people heal through the conscious physical movements of yoga. 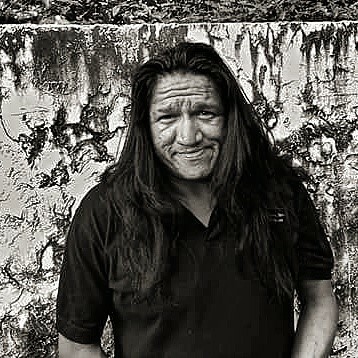 Haley grew up in Salt Lake City, Utah and faced many of the difficulties which affect Native Americans who are experiencing historical trauma: the loss of a Native language, struggles with alcoholism and abuse, and above all, a loss of identity. After the break-up of a long-term relationship, Haley decided that she wanted to move closer to her roots, which meant returning to the area where her mother grew up, located on the outskirts of the Navajo Nation in Gallup, New Mexico. Her clans are Bit'ahnii (Leaf clan), Tódich'ii'nii (Bitter Water clan), Dibéłzhíní (Black Sheep clan), and Táchii'nii (Red Running Into the Water People clan). 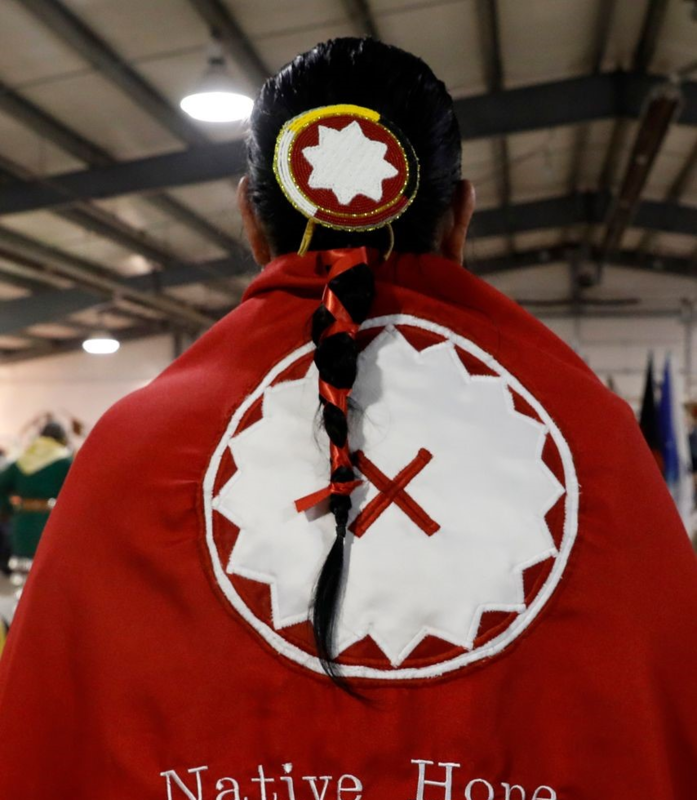 As she settled into life in Gallup, Haley began to work through and understand her experience of intergenerational trauma and to embrace her Native American culture. As she reconnected with her ancestry and her tribal tradition, Haley discovered that the practice of yoga kept her focused on total healing, mental, physical, emotional, and spiritual. Haley’s journey of rediscovery unleashed a new and positive energy that has inspired her to share the healing gift of yoga with others. 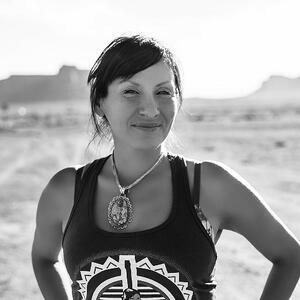 In 2016, she founded Hozho Total Wellness, a mobile yoga and meditation studio that is based on Navajo teachings about holistic wellbeing. Today, Haley teaches classes, workshops and presentations on yoga, wellness and self-care, and healing from historical trauma through consciousness. Hozho Total Wellness actively promotes yoga through Waylon Pahona's Healthy Active Natives page with online yoga instruction and challenges, reaching Indigenous reservations all over the U.S and Canada. Haley is also founder of Indigenous Yoga Instructors Association, offering live classes on Facebook and other social media platforms, where her goal is to create and foster more Indigenous yoga instructors to heal her people and the communities affected by historical trauma. Laughter chose to make her Gallup-based studio mobile in order to make it easier to bring yoga practice and instruction to rural areas on reservations. After much reading and research with her business partner, Anita Lara, Haley has also worked to develop a special workshop called “Indigenous Consciousness” that incorporates Indigenous teachings and philosophy into the yoga practice. For Haley, it’s not just about the yoga. It’s about giving Indigenous people a chance to experience and connect with their bodies and to heal in their bodies. Yoga serves as a way to help integrate the body and spirit into a conscious whole that is balanced and healthy. 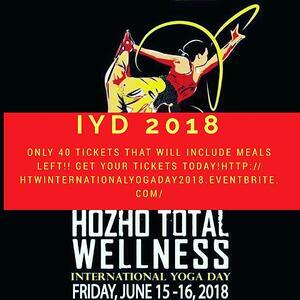 These days, Haley is spearheading the Hozho Total Wellness' 2nd Annual International Yoga Day which will take place on June 15th -16th, 2018 in Monument Valley, located on the Navajo Nation in Utah. When Haley first attempted to bring Indigenous people together for a celebration of yoga and wellness, the result was a small gathering located at the Navajo Nation Zoo, where 14 individuals showed up to practice with her. Haley decided this event needed to be bigger and more spectacular. 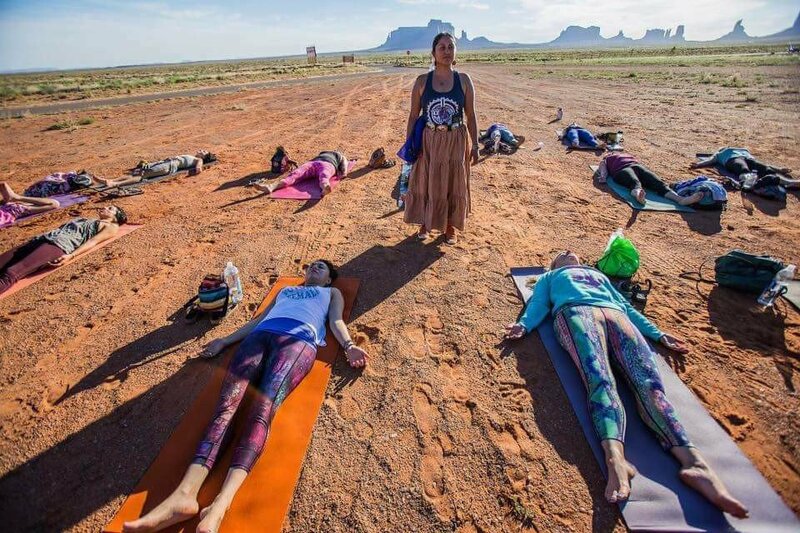 She envisioned a celebration of yoga in beautiful Monument Valley, one of the most famous landscapes in the Southwest and at the heart of the Navajo Nation reservation. This annual retreat is now a place for Indigenous people to collaborate, share ideas and discuss successful practices of yoga. Last year, over 70 individuals showed up from all over the U.S and over ten tribes were represented practicing yoga from sunrise to sunset. This year, the retreat promises to be even bigger, and members of the Native Hope family will be in attendance. 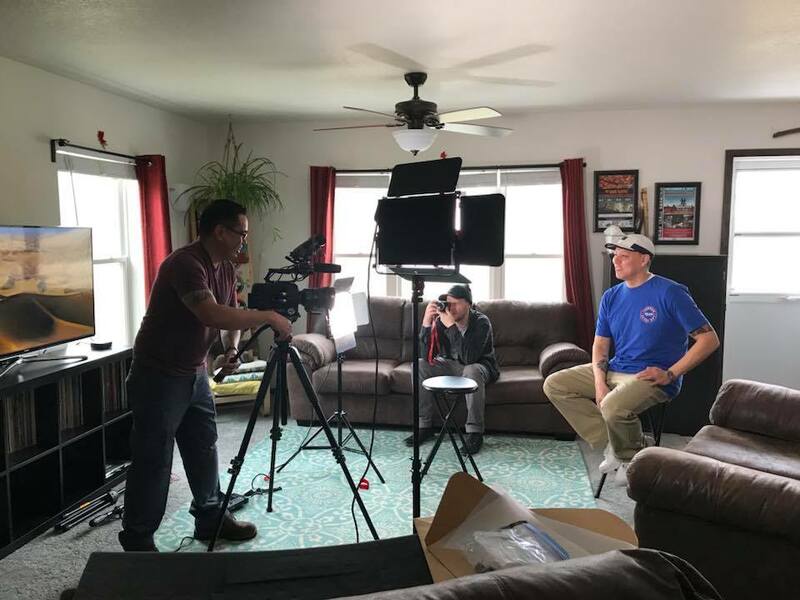 The Native Hope Media team will be there to capture footage of this year’s event, and Native Hope Fellow, Nikki Lowe, will be giving a flute performance and participating in the day of yoga. True healing can only come from an integrated effort to strengthen the body and mind. The Native Hope team is proud to share stories like Haley’s that show the way to hope and healing for Indigenous peoples. Together, we can change the future of our communities. Subscribe to our blog today to stay in touch with stories of hope and healing.